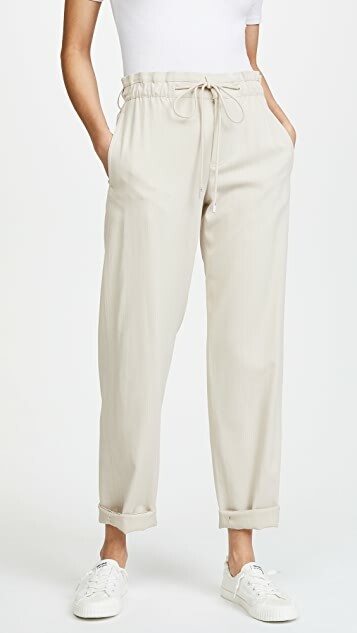 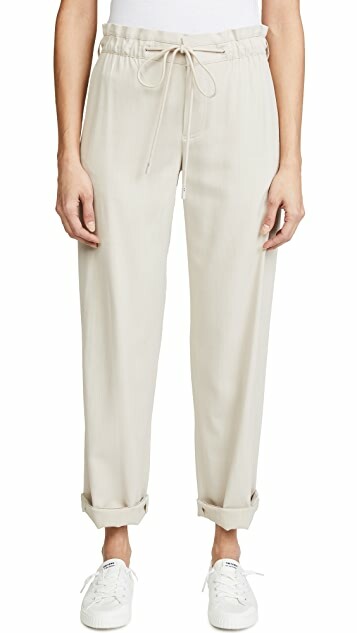 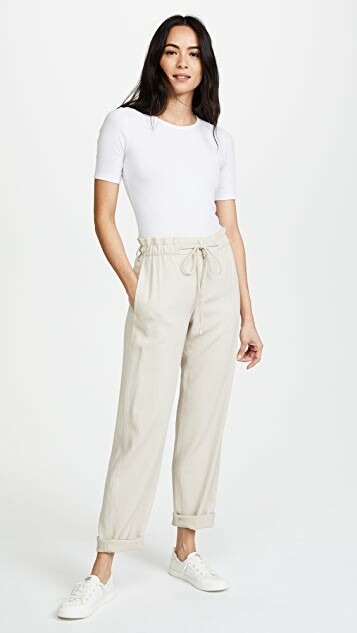 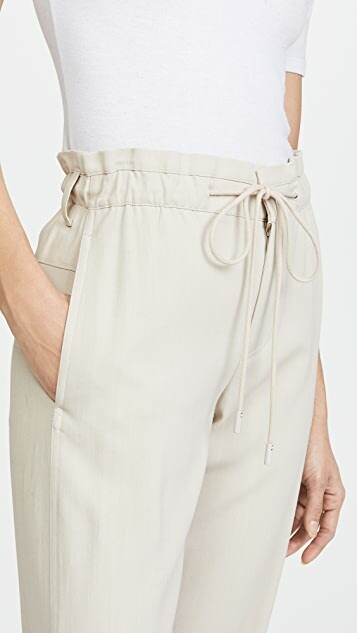 Casual Vince trousers with a drawstring paper-bag waist. 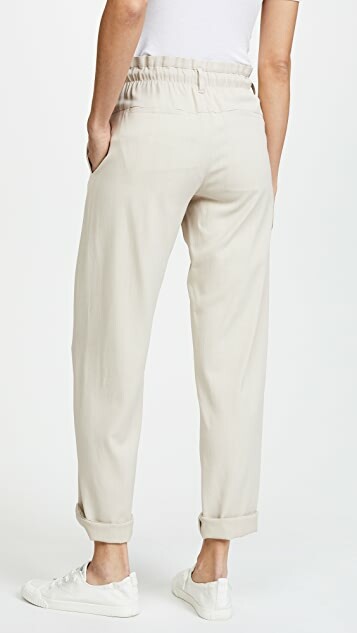 On-seam hip pockets and welt back pockets. 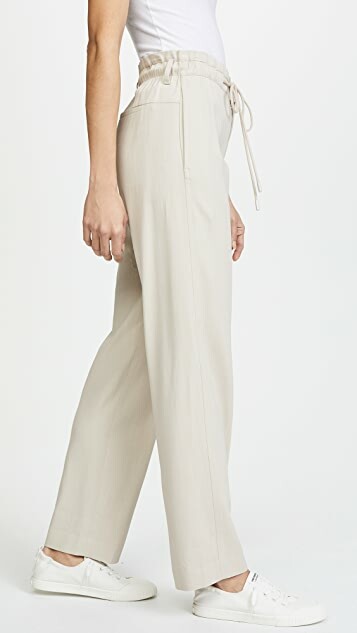 Hook-and-eye closure and zip fly.